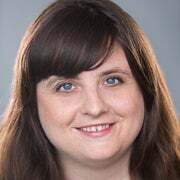 Katrina Trinko is editor-in-chief of The Daily Signal and co-host of The Daily Signal Podcast. Send an email to Katrina. Warning: This article contains significant spoilers. “Wonder Woman” is a feminist movie conservatives can embrace. 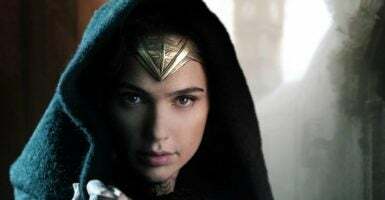 It’s a fun movie that truly embraces the “girl” in “girl power.” Yes, the heroine Diana is a powerful fighter—and she’s raised on an island of Amazons, all of whom seem to excel at hand-to-hand combat and shooting arrows. But she’s also a woman who is thrilled when she catches sight of a baby. And while she’s not a mom herself, her genuine sorrow and pity when she realizes the plight of women and children living through World War I makes her as much of a “mama grizzly” as Sarah Palin. In fact, she starts fighting—ignoring the men who urge her to wait—precisely because she is unwilling to tolerate losing the civilians she sees suffering. In fact, in the ultimate crisis of the movie, Diana is roused to action because she’s inspired by a man. The climactic scene of “Wonder Woman” comes when Diana, who discovers she is actually a goddess, is urged by her brother Ares, another god, to allow war to continue. Ares, who was the Greek god of war, urges her to see all the evilness and ill will in humanity and pushes her to realize that man doesn’t deserve peace and happiness. Humans, he essentially says, are so evil they merit the discord and horror of war. Diana, who was not raised among humans, is certainly tempted by Ares’ argument. Her short time in the real world, a saga begun when a spy makes a crash landing in the ocean near the Amazons’ island, has been dispiriting. She’s realized that humans, far from being the wonderful creatures she originally thought they were, are decidedly a mixed bag—and sometimes not good at all. In a way, Ares’ argument echoes some of the liberal themes we see in our modern conversation. Just consider the concern about humans’ impact on the environment touted regularly in climate change arguments, or the fears about overpopulation. Ares’ pessimism about whether humans contribute anything significantly positive to the earth seems to be a real mindset among some. Steve is not the starry-eyed idealist Diana is, and when she first is devastated by humans’ decisions, Steve ultimately concedes that she’s right: Some people may not deserve to be rescued or saved. But that doesn’t mean he won’t do it, anyway—and not long after, Steve knowingly and willingly gives up his own life to protect the lives of many others. And is that sacrifice which makes Diana, even with her new understanding of mankind’s very real flaws, willing to fight Ares—and not settle for a world where humans are pushed into war and destruction. I had my doubts about “Wonder Woman” going into the movie theater—especially since I’d read that the original Wonder Woman character was inspired in part by the niece of Planned Parenthood founder Margaret Sanger. I don’t know about the original comic-book character of the 1940s, but this version is instead someone who embraces life, including cherishing babies. In her horror at the destruction of war and her willingness to sacrifice for the lives of others, this Wonder Woman is very much a woman who shows, even at the cost of great sacrifices, that the lives of men and women are worth saving.